This program is designed for mid-career bankers who want to quickly get up to speed on the trends, solutions and language of disruption to prepare them for new positions focused on innovation and transformation within their institutions. Banking is changing at the speed of digital disruption. Banking professionals are finding themselves in need of a new strategic and business-model framework in order to help their organization, and careers, remain competitive in today’s age of banking disruption, automation, artificial intelligence (A.I) and Blockchain. Fintech Americas and Florida international University (FIU) have partnered to create a program for mid-career banking professionals looking to become knowledgeable and proficient on the innovative trends, technologies and strategies that bankers and banks need to transform in the digital age. The program will take place on September 5th, 2018 at the Fontainebleau Hotel in Miami Beach and will immediately be followed by the Fintech Americas Bank Innovation and Transformation Conference. In this program, you’ll learn actionable strategies and frameworks developed for banking professionals and institutions seeking to transform their operations and build innovation and digital transformation into their business strategy and approach. Through hands-on group exercises and real-world examples, you’ll learn how to drive innovation and develop winning strategies for your organization. The program emphasizes tangible, practical content which can be immediately deployed within your institution. 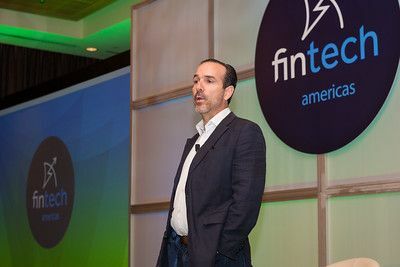 The Fintech Americas / FIU Executive Certificate in Banking Innovation and Transformation program brings together a high level educational program along with two-day admission to our signature conference where we highlight World Class speakers on on array of issues related to banking in the Fintech Age. Attendees improve their understanding of the disruptive industry dynamics and how best to assist their institution in formulating and implementing innovative transformation strategies. It is equally suited for professionals seeking to retool their knowledge and reposition themselves in today’s banking and financial services employment market. NOTE: Please note that Florida International University (FIU) requires a minimum of 25 attendees for the Program. Should the registrations not meet this minimal threshold, the program may be cancelled at the discretion of Fintech Americas and/or FIU. However, you will always be able to attend the Fintech Americas Conference Sept 6 & 7. 1. When is the program taking place? The program will take place Wednesday, September 5th from 8 AM to 5 PM followed by the Fintech Americas Conference on September 6-7, 2018. Both the program and conference will take place at the Fontainebleau Hotel, Miami Beach. This program has been specifically designed for mid-career bankers seeking to get up to speed on the trends driving banking innovation, transformation and disruption. The program assumes students have a fundamental understanding of the banking industry and is geared towards providing them with a new framework on which to understand the banking landscape and prepare them for new positions and/or responsibilities within their organizations. 3. In what language will the program and conference be held? Both the program and conference will be held in English. However, the Conference (not the program) will have simultaneous translation in Spanish. 4. Where it will take place? 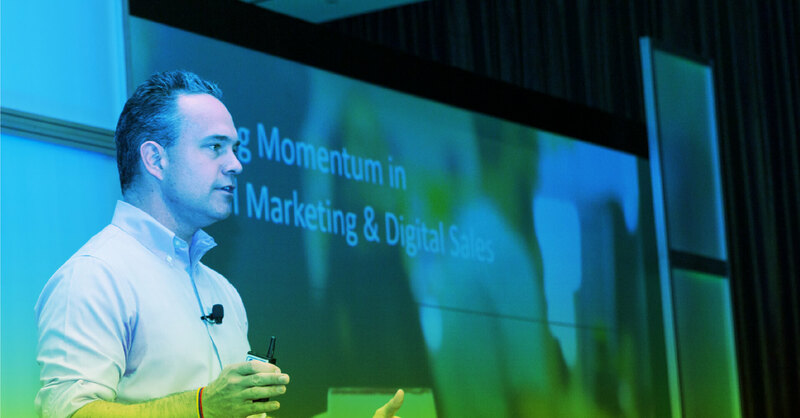 The program is $2,145 and includes admission into the Fintech Americas Banking Innovation and Transformation Conference in the two-days that follow the program. The three-day program includes breakfast and lunches for the three days plus a cocktail reception on the first evening of the Conference. 6. Can I do the program as a Stand-alone day? The topics are so vast and extensive that we do not believe a single day suffices to provide all the knowledge that we want our attendees to experience. The first day will provide the fundamentals and an “up to speed” in banking transformation. The two remaining days will provide the depth on the full spectrum of the components that entail the bank of the future. 8. Who will be providing the program? The program instructors include a combination of industry leaders and practitioners along with university professors. 9. Do you have group discounts? 10. What do I get at the end of the Program? You will get a Certificate of Completion from Florida International University. 11. Do I get Credits for Continuing Education? 12. Will there be other programs that dive deeper into the topics of this program? Yes, Fintech Americas and FIU will be developing additional programs that build on this one. 13. What happens if you don’t get to the minimum number of attendees required? You will be reimbursed for the portion corresponding to the 1st day training and of program you can still attend the Fintech Americas Conference. 14. Is this program available to Financial Institutions to conduct it in-house? © Copyright Fintech Americas 2018, Inc. All rights reserved.